Betty LaDuke (American, born 1933), Africa, Mandala, 1991, Acrylic on canvas, Gift of the artist. 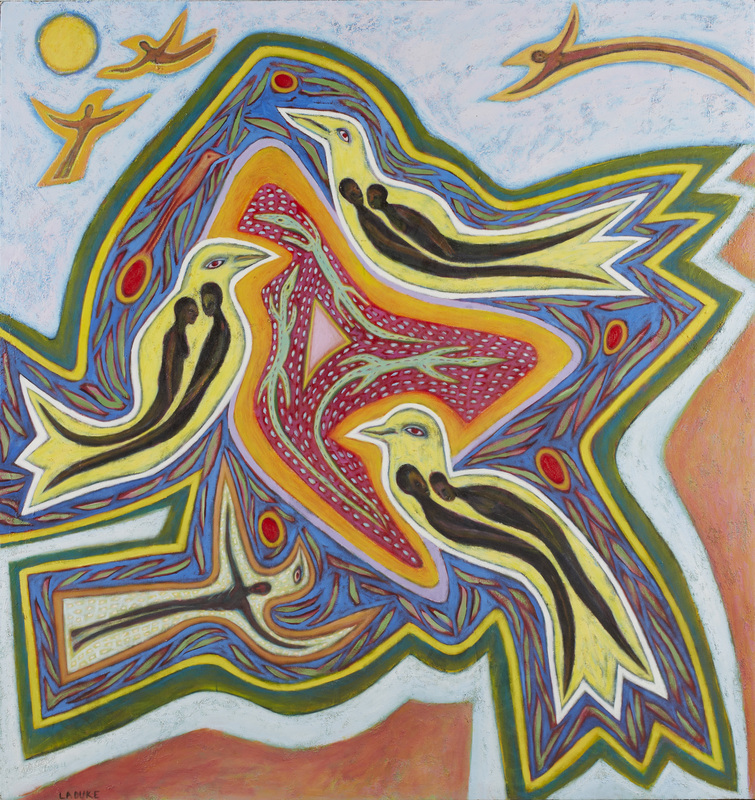 Southern Oregon artist Betty LaDuke has been actively engaged in her practice since 1950. In 1953 she received a scholarship to attend the Instituto Allende in San Miguel de Allende, Mexico—an experience that whetted LaDuke’s appetite for travel and fed a lifelong interest in world culture. While in Mexico she met muralists Rufino Tamayo, Diego Rivera, and David Alfaro Siqueiros, whose dedication to an art representing the working people continues to influence LaDuke’s content. LaDuke’s most recent series celebrates Oregon’s agricultural workers—whether depicting laborers in vineyards, orchards, or fields, her brightly colored, whimsically shaped wooden panels energize her compositions and joyfully reflect the toil of those who reap and sow in our verdant countryside. New works and paintings from her 65-year retrospective exhibition, mounted in 2013 at the Schneider Museum of Art at Southern Oregon University, will be presented in her APEX exhibition. The APEX series is supported in part by The Arlene and Harold Schnitzer Endowments for Northwest Art and the Paul G. Allen Family Foundation.